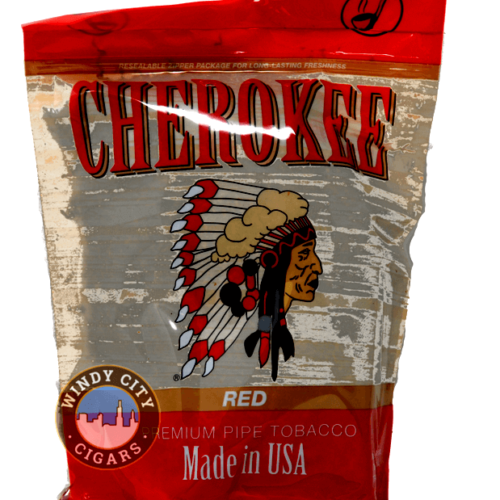 Cherokee original pipe tobacco is long ribbon cut tobacco made in a classic manner, using flue-cured and burley tobacco leaf. You’ll find this blend of tobacco tastes good and it is priced very aggressively. Low cost high value pipe tobacco and if you like a medium to strong taste Cherokee pipe tobacco is going to taste great. 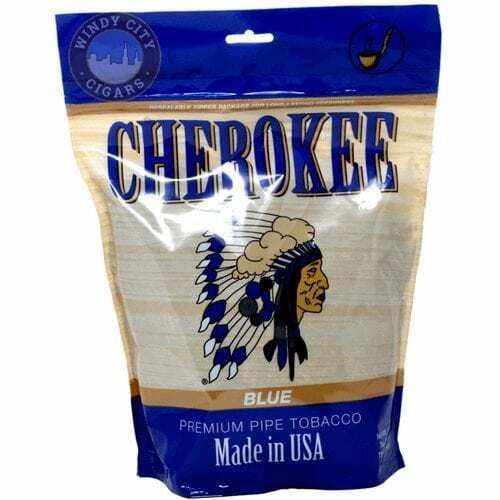 Cherokee pipe tobacco products for sale in both 1lb and 5lb bags. Cherokee Original: a more robust taste than the rest of their blends. 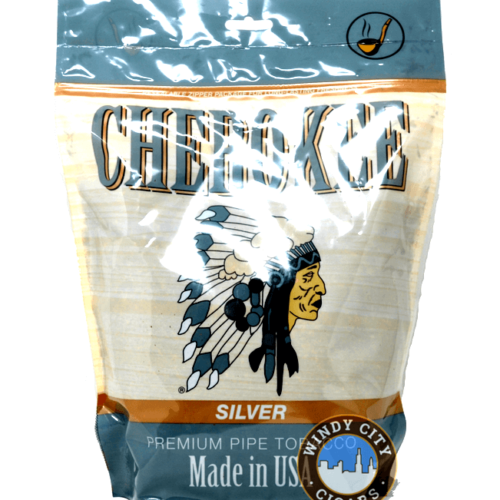 Cherokee Ultra Silver: if you like smooth this is the pipe tobacco for you. Cherokee Mellow: mellow taste that’s easy on the taste buds. 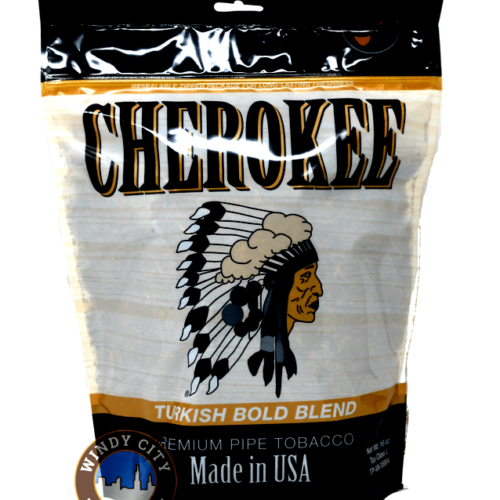 Cherokee Turkish: has a classic exotic taste. 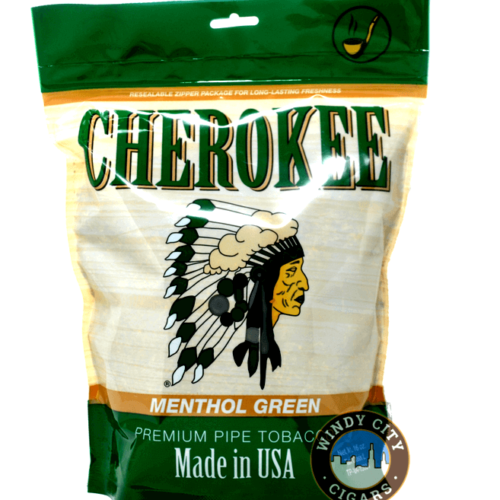 Cherokee Menthol: won’t overpower you like some blends, just enough menthol to give you a slight taste.